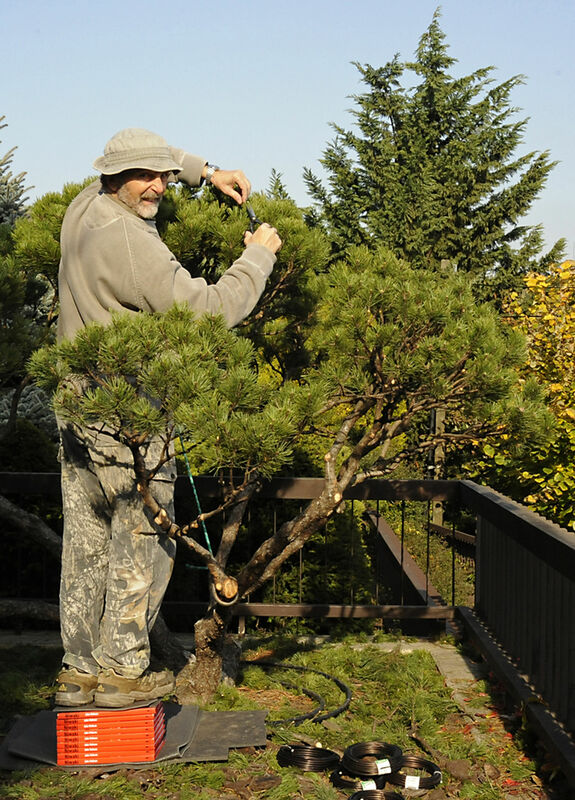 A customer of ours from Hungary, Gabor, sent this pic of him pruning. We're sending him a tripod ladder, but for now he's relying on a whole stack of Niwaki books! Hungarians - are you all this crazy?